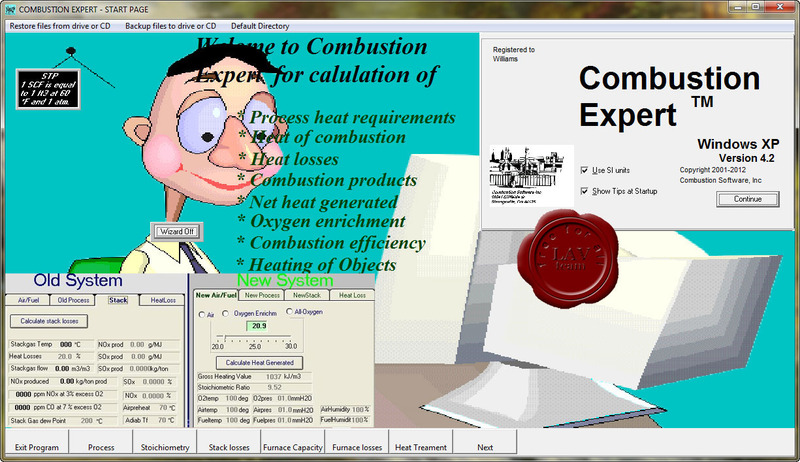 Combustion Expert is a comprehensive software designed for commercial heating applications such as industrial furnaces, burners and combustion control system. The software will do calculations of compressibility (AGA-8), chemical equilibrium, revamping of older furnaces, changing fuel, converting to all-oxygen-fuel system adds heating of boxed shaped objects, radiative heat transfer, calculations, viewing factors, radiosity, gas emissivity and temperature distribution in bars or slabs. We also added a PLC driver (KEPware) that provides a link between any PLC and our software for process control.